I was first told of this drill in 1992 by a member of the U.S. Army Special Forces, which was using it to keep its troops sharp with a pistol. The 2x2x2 drill is "skill on demand"; a soldier could be confronted by a trainer at any time—walking to lunch, say—and told to shoot the drill immediately; no prior warning, just like a gunfight. Handgun in "real world of work" carry. Duty holster, thigh/chest rig or concealed—however you carry your gun. No open speed or competition rigs. On command, draw and fire two rounds in two seconds at 20 feet on a 3x5 card placed vertical on a target backer. If a round breaks the edge of card it is considered a hit. 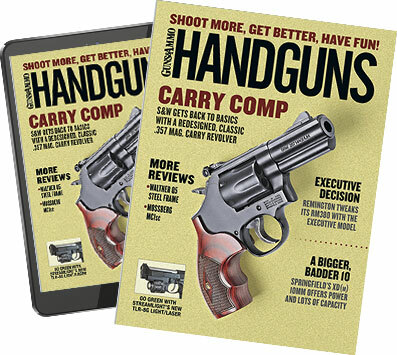 The history of handgun conflict has shown the pistol must be drawn and rounds on target in two second or less if a close threat is to be stopped. The 2x2x2 builds the required kinesthetic ability of delivering the drawn pistol to where the eyes are looking with minimal motion. Speed is a lack of unnecessary motion and not herky-jerky muscle manipulation. To successfully complete the 2x2x2, the pistol must come straight up from the holster and punched straight out to card with no "ditch digging" or "fishing reel casting." Minimal trigger action and recoil control are essential.